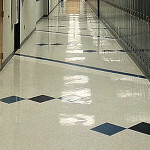 At Franklin Floors, we know how important it is to feel confident in your flooring selection. You want to know it’s going to look exactly the way you want once it’s installed in your office or commercial front store. We want you to be 100% happy with your new floor. We offer an easy-to-understand warranty system that gives you a level of protection that is tailored to you. 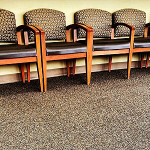 It’s no wonder so many businesses choose carpet. With so many choices, you’re sure to find carpet that’s absolutely perfect for your commercial or office location as it also serves as a striking design element. With so many colors and textures to choose from, there’s one perfectly suited for your business. Find the carpet that fits your space’s needs and requirements. Laminate floors offer the best of both worlds: great looks inspired by nature… and great livability created by science. 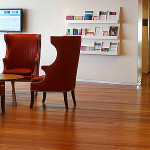 Today’s laminate flooring puts the style in your business location. Not only is it aesthetically appealing, but there are countless looks and textures to choose from. Whether you prefer the appearance of wood, slate or tile, laminate makes any commercial space or office distinctive at an affordable price. Today’s vinyl flooring offers an elegant appearance and an enduring value. Nothing brings style, durability and comfort together quite like today’s vinyl flooring. And talk about affordability. That flooring in your front store may look like expensive hardwood. But it’s vinyl. Yes, vinyl flooring allows you to incorporate the look and feel of tile, hardwood or stone into your business location without the cost. Explore the nearly infinite palette of styles and colors available in tile to create the floor you always imagined in any area of your business location. When it comes to flooring, nothing gives you more options and opportunities to create that special atmosphere in your front store than tile. 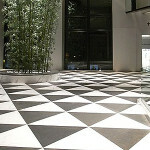 Choose stone, ceramic or porcelain, and arrange it in nearly endless patterns. ©2015 Franklin Floors, Inc. All Rights Reserved.